In The Festival Harm Reduction Project series, we examine drug use at music festivals and clubs across the globe, and explore what artists, organizers, harm reductiongroups, and concert-goers are doing to make nightlife safer. Spend enough time at music festivals, and you’ll very likely encounter someone—be they a close friend or a total stranger—who’s taken psychedelics and is experiencing some level of distress, unsure where to turn amid the sensory overload of the dance floor. Many of us would like to help in these instances, but it’s not always clear when or how to offer support and assistance. That’s why the Zendo Project—a harm reduction organization founded in 2012 under the Multidisciplinary Association of Psychedelic Studies (MAPS) —has been providing on-site psychedelic safe-spaces at music festivals, complete with trained “sitters” ready to talk you through a difficult experience. “I’ve always been very interested in non-ordinary states of consciousness and the use of psychedelics in psychotherapy,” Sara Gael, Director of the Zendo Project, tells THUMP. A transpersonal counseling psychologist in Boulder, Colorado, Gael also boasts more than a decade of experience as a dance music enthusiast. During that time, she’s often found herself troubled by what she calls the festival scene’s “outdated ways of dealing with attendees having difficult psychedelic experiences,” including the use of restraints, sedation, or arrests. Gael has been a part of the Zendo Project since it was founded. So far the organization has assisted over 2,000 guests at festivals like Burning Man, Lightning in A Bottle, Boom and Symbiosis, while training over 2,000 volunteers to provide what they call “psychedelic first aid.” All of this is part of Zendo’s donation-supported mission to create a community of compassionate care. Gael sees tremendous therapeutic potential in psychedelics when safely administered in the proper setting. Working with MAPS as an investigator, she’s been part of the psychedelic research organization’s recently completed Phase 2 clinical trials of therapist-assisted MDMA as a treatment for PTSD. But she also recognizes that in a recreational setting, the potential exists with psychedelics for psychological trauma or subconscious fears to surface at a time, or in a place, that’s far from optimal for working through those emotions. Thus, the Zendo Project’s extensive online training manual and official harm reduction video provide guiding principles for helping to transform a difficult experience into a valuable learning opportunity—including creating a safe space, and understanding that a “difficult” trip is not the same as a bad one. 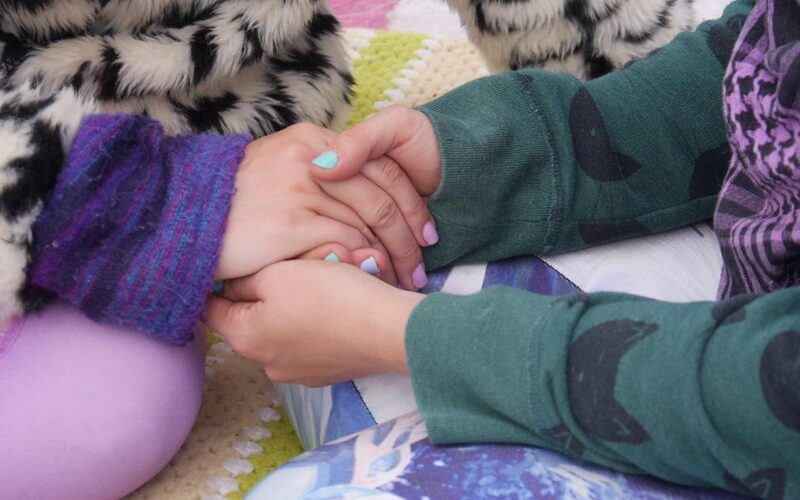 With those core principles in mind, Sara explains in her own words below how to best help out a friend or a total stranger experiencing a difficult psychedelic experience at a music fest. 1. First, determine if someone wants or needs assistance. “A difficult psychedelic experience can either be very outward or very inward, and it’s always challenging to know what someone’s internal experience is at any given moment. So sometimes a person who wants or needs assistance will be very obvious, and other times it’s not clear, but possible characteristics include anxiety, feeling alone or feeling trapped, disorientation—including in time and space—confusion, and fear of losing control. If you see that someone is possibly having a challenging time, you can simply approach them, introduce yourself, and maybe ask how they’re doing—instead of assuming that they want or need assistance. 2. Talk through, not down. “Let the person’s unfolding experience be the guide. Don’t try to get ahead of the process. Explore distressing issues as they emerge. Without distracting from the experience, help the person connect with what they are feeling. 3. Offer to move them to a comfortable, quiet place. “If they respond to that and indicate they need help, offer to move them to a quiet place, away from bright lights, loud music and crowds, because those can all contribute to disorientation. 4. Don’t be afraid to get help if you need it. “There are three situations that absolutely require bringing in outside assistance: serious mental health episodes, potential violence, or a medical emergency. So when approaching someone, you always want to make sure you’re looking for signs of any of those three situations, and not just assuming that the issue is only psychological or emotional. 5. Don’t forget to take care of yourself, especially if you’re on psychedelics too. “It can be really challenging to hold space for someone, both physically and emotionally, especially if you yourself are under the influence of psychedelics, so if that’s the case, try to find the assistance of someone who isn’t altered if possible. Otherwise, all of the same guidelines still apply, including the need to take care of yourself, which applies in all cases, but would apply especially if you’re under the influence as well. 6. Don’t forget to help them integrate back into society. “Often people need additional support after the experience winds down. Re-entering society can feel like a huge contrast after inhabiting the psychedelic space, which means one of the most important tools for integration is having a supportive, caring community.